A complete guide for the Wrath of the Machine raid, part of the Rise of Iron expansion for Destiny. This guide will walk you through every section of the raid, along with solutions to each of the puzzles and a SOLO strategy to top things off. No Spoilers: the guide will only include solutions on a step by step basis, allowing you to hop in and out without being spoiled by the later steps further down. This is the first time that we've seen a Raid activity in Destiny for almost a year. Yes, it was back in The Taken King that we actually experienced the last Raid event (Kings Fall) and it feels good to have another epic six player activity in Rise of Iron. With the new maximum Light Level now set in stone at 385, players should be well versed in the Raid preparation routine by now. Pushing all weapons and armour to at least light 365 is an absolute must. Some of the games classic weapons have made a return in Rise of Iron and you can be sure that the Y3 Gjallarhorn is going to be a core requirement in any raid team with the Y3 Thorn not far behind it. Recommended light level: For the Raid's normal mode you should be as close to, if not above, light level 370. As you progress through the Raid checkpoints it's worth remembering that not only does the Raid gear give you higher light stats but it also comes bundled with perks that are designed specifically for the Raid. For example, the "Bomb Disposal Shield" perk helps you take half the damage when carrying the SIVA charge. At the end of this guide there is a complete loot table. Lastly, I for one am pleased that Wrath of the Machine is more fluid compared to previous raids; indeed Bungie have stated that players need to keep on the move, most notably during the Death Zamboni phase. Love them or loath them, jumping puzzles are back once again, this time in a simplified form and we have a lovely collection of Raid weapons and armour to show off at the end of it! The "Wrath of the Machine" raid goes live on the 23rd of September (Friday) at 10am PT. This equates to 1pm Eastern (US), 6pm UK time, 7pm for most of Europe and a very early morning of 3am for Australia. The release date for Hard mode has not been confirmed yet but if Bungie follow the same pattern as Kings Fall then the Hard mode should be available 6 weeks later, around 28th Oct. The first section of the raid requires your team to keep on the move, picking up the bright sparks (voltage) scattered around the area. For each subsequent spark you step on, your "Voltage Rising" value increases e.g. x2, x3 until it reaches "Max Voltage". The timer duration also increases slightly each time. At the same time as picking up the sparks, fight off the enemies that are attacking the "Assembly Line Spinners". Once your voltage reaches "Max Voltage" head to one of the generators (spinner) and interact to "Discharge Voltage". By repeating this steps twice, so a spinner has 8 x voltage charge, the spinner will explode, releasing SIVA charges on the floor in the nearby area. Pick up these SIVA charges and throw them at Vosik to bring down his shield. Once his shield is down, attack Vosik with all your firepower. Repeat these steps until Vosik is damaged enough and the section ends. This is the 1st raid chest location in Wrath of the Machine. Simply walk up the path and the chest is in plain sight on your left. This is an Exotic chest but commonly drops SIVA Key Fragments which are used to upgrade Wrath of the Machine gear. The next stage of the Raid is a simple jump puzzle that asks you to jump between the many pipes and platforms, some of which fall down if you stand still too long. Patience and good jumping skills should see you through this one. "Defeat the Archpriest in the Splicer's Den." 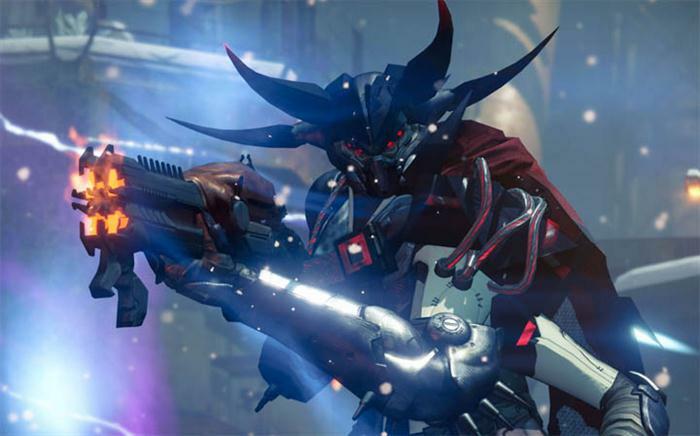 Vosik will reappear again and so will the SIVA charges. This time around the charges are dropped by killing enemies in the surrounding area (yellow health bars). Pick up the charges (balls) and throw them at Vosik in quick succession. It's very important that the two (or three) charges are used together since the first takes down the shield and the follow ups do the damage. Wait too long after throwing the first charge and his shield replenishes before a subsequent bomb can do any damage. When you see that Vosik's shield is completely down, combine the SIVA charges with your heavy or sniper weapons to inflict further damage on top. Following a successful barrage against the BOSS, a monitor will glow with a red SIVA sign (up above). Make sure you shoot the monitor as quickly as possible with standard weapons. SIVA Density Critical - when this appears it’s instant death UNLESS you hide in one of the side rooms. Look for the room with the glowing lights and get the whole Fireteam in there as quickly as possible. Shoot the panel on the wall to lock the door; now sit tight to avoid the insta-kill and it'll reopen allowing you to repeat the step above again. Successfully killing Vosik will reward you with the first of the Raid gear which can include Ether Nova (Raid fusion rifle), Legendary engrams, SIVA Key Fragments and other consumables. The 2nd raid chest is also on the platform where Vosik was standing. This can contain Raid weapons such as Quantiplasm (shotgun), Strange Coins and other consumables. Head through the door to leave the BOSS room and move on. The 3rd raid chest is located not far from here. Follow the pathway underground and then into the short jump puzzle. About halfway through, look up and to your right for a platform that leads off to the right. Follow this tunnel leading upstairs and then jump up to a higher platform on your left, follow the tunnel and the chest is on the left. The chest can contain Sublime Engrams and consumables. After completing the short jump puzzle and ascending to the top of the wall a short cutscene plays to introduce the Death Zamboni, the "Travel Down the Wall" mission now commences. For the first part of this section, keep your distance from the Zamboni and shoot off his two side turrets and his yellow face. Successfully doing this causes the message “Siege engine has suffered a hull breach” to appear on screen. At this point race towards the Zamboni, climb up and over the machine to the area behind him. Wait for the dropship to arrive and kill the yellow enemies. Several parts will drop on the floor e.g. Drive Core, Warhead, Engine Block etc. Split into pairs of two and take it in turns to carry the parts. Each player has about 10 seconds to carry a part before getting exhausted. The other teammate should provide protection whilst the part is being carried. Each of the parts must be carried back to the Zamboni and placed inside the appropriate areas to rebuild the siege machine. However, the ramp leading up to the Zamboni may be inaccessible - if so, kill the Engineer on the top platform of the siege machine and also damage the large yellow panel on the front. The ramp should then appear. Ride the Zamboni as it smashes through the wall, get off and jump all the way down the hole. The 4th raid chest here, use a key to get a possible Raid Weapon (e.g. Sound and Fury rocket launcher) and other consumables. Follow the mountain route onwards, carefully drop down the winding hole using well timed boosts to avoid fall damage and dying. Keep going until you reach a diamond shaped locked door, wait for the entire Fireteam to catch up and progress through. This is the final BOSS fight for the Wrath of the Machine raid. Split into groups of two, one left, one right and one central. Keep on the move but within your sections, fight off the waves of enemies and wait for Captains to appear. Each Captain has a shield with one of the main elemental types: Void, Arc, Solar. Killing a Captain will drop a Cannon of that type. e.g Shock Cannon, Scorch Cannon etc. After claiming a cannon, an elemental Servitor will spawn in. Call out to your Fireteam to get the same matching Cannon to destroy the Servitor (only 1 fully charged cannon shot is required to kill a Servitor). Upon death, the Servitor drops a SIVA charge. Pick up the charge and throw it at one of the three containment cores (panels) surrounding the BOSS platform. A message will appear saying: "[Player] damaged a SIVA containment core". Once all three panels are hit, unleash all firepower at the BOSS. The same boss reappears in an epic “spider tank” for one last ditch attempt to defeat you. The same principles from the previous step apply here again. This time we have a new mechanic - “Empowered” which is randomly chosen for three players. Whoever are empowered are responsible for the SIVA charge (ball) whilst the non-empowered players will get the cannons. Repeat the same process of killing the Captains to claim the weapon, then kill the Servitor to claim the charge. Use the charge to bring down the shield. When "SIVA Density Critical" and/or "Aksis generates SIVA Mites" appears, all players must stand on one of the circular glowing pillars to survive. Only use one pillar at a time because they cannot be reused again later! Once the shield is down, Aksis will teleport and he is now vulnerable. One of the Empowered players must “slam” the boss to stagger him (jump above him and hold square). 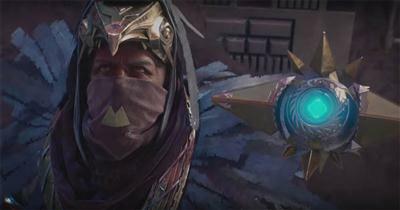 The following message appears: "[Player] has stunned Aksis - Empowerment shifts". Immediately following this event, a DPS window appears, allowing players to inflict maximum damage using standard weapons. At the end of the DPS window, the message "Aksis has stabilized - activating termination protocol" will appear. He now teleports back to the main platform. Each time a slam is performed, the Empowered state passes to a different player in the team. Repeat the process three times until the BOSS eventually moves to the middle platform for one final stand. At this point go absolutely crazy with maximum firepower until he's killed or else time runs out and you all wipe. The following messages commonly appear in this phase: "Aksis's barrier is shattered", "Aksis has stabilized - activating termination protocol", "Aksis initiates self-destruct sequence" and "Aksis generates SIVA mites". Upon killing Aksis you'll see the next two raid chests which offer Raid primary weapons e.g. Chaos Dogma (Scout Rifle) and possible exotic weapons. The second of these two chests requires a SIVA cache key. Below are the Raid rewards for each stage of the Raid. SIVA cache chests also have a chance to drop Raid gear but are not included here.